Even though summer is coming to a close in some places, there is still plenty of beautiful weather to enjoy. It's weather that you, your plants and wildlife will make the most of. Depending on where you live, your yard might actually be a haven for many animals, including birds, that make their way south for the winter. Welcome them with a DIY birdhouse! The cool thing about this birdhouse is that it upcycles a wooden wine box. You can feel less guilty about drinking wine because in the end, the container will be an ideal home for birds. As with many DIY projects, it's expensive and only takes a few steps to complete. The birds will thank you for the creative and unique house by keeping your yard full of life! 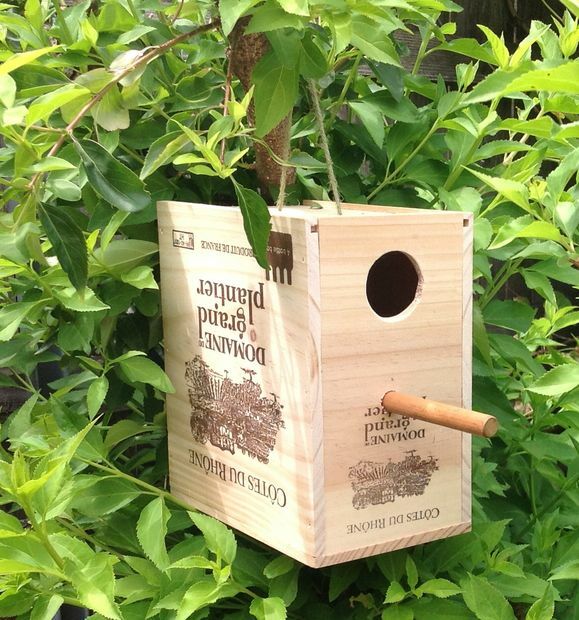 Continue on to the next page to see how to make this easy wine box birdhouse!